They're tiny and cute. How can you resist? I need the 3 motu fye PSH exclusives to complete the set. Yeah, I figure it's just a mater of time for all of the potential pairings from MOTU. The issue is that most people do not know about the other cool characters. 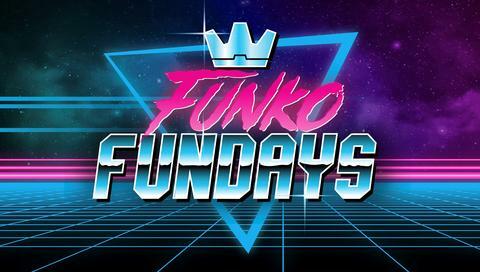 Funko has to sell products so they make what main stream people will buy. How many people you know would buy a Jitsu instead of a He Man figure for their kid? 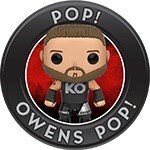 Not sure it’s any different than the plethora of choices that have made their way into the pops and dorbz waves. Let’s be honest, Spikor and Scareglow are both pretty obscure characters when put up against Teela and yet both of those guys have pops and dorbz and Teela has neither. Teela has to be coming sometime soon! fischmioli wrote: Teela has to be coming sometime soon! whoa!! let my wallet catch up please! 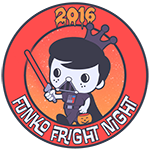 Brian@Funko wrote: Of course more will come! This is great news!! thank you!! 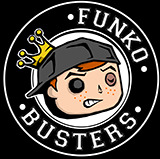 Cristina wrote: We don't have any room (probably true for most people on this board) but a Series 2 of the MOTU dorbz would be very welcome in my house. My metallic skeletor from Big Apple Collectibles has shipped. Very excited. Thabks for the reminder. I forgot about the skeletor dorbz. I didn’t preorder one but hope those thatvdid will post pics. Esp out of box pics. This way I can make an educated decision. But I need an evil lyn dorbz! After skeletor she’s my girl. AnyGivenFunko wrote: My metallic skeletor from Big Apple Collectibles has shipped. Very excited. Hope mine ships soon, they have my Bazooka Joe on hold until it does. Kitzka wrote: Thabks for the reminder. 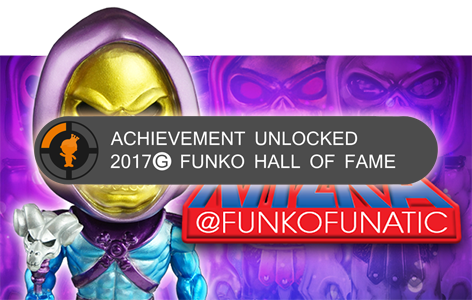 I forgot about the skeletor dorbz. I didn’t preorder one but hope those thatvdid will post pics. Esp out of box pics. This way I can make an educated decision. But I need an evil lyn dorbz! After skeletor she’s my girl. mine too, and I had completely forgotten about it too! Yeah, I forgot too. Glad they sent an email notice. Just got my notice too, also forgot besides Bazooka Joe I also had the Rick and Morty 2pk and Nightwing Slade 2pk. Can't wait to add them to the collection. i actually forgot to order it...this thread reminded me. got that shipping notice. now i gotta think if i have room for it. Member of the Legion of Satanic Funatics. 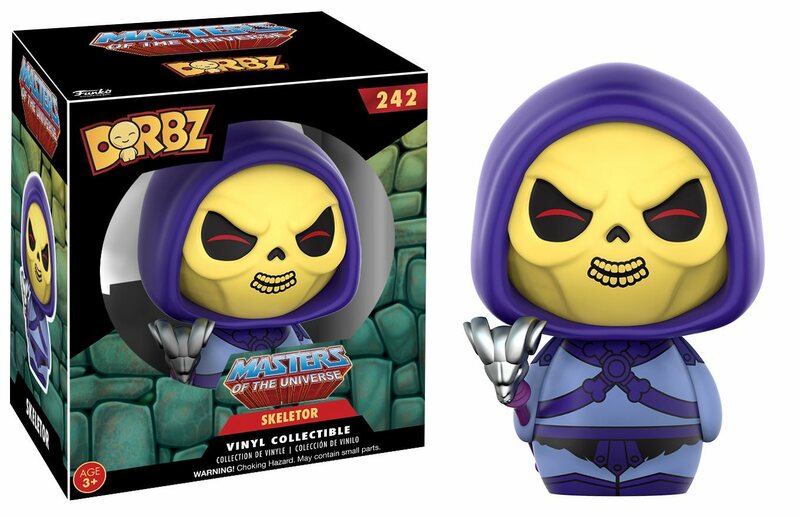 Wow , what rock have I been under to not know there is a metallic skeletor? Shalee04 wrote: Wow , what rock have I been under to not know there is a metallic skeletor? i ordered it on the 11th, it shipped the 12th, and it is out for delivery today (I also happen to live 20 minutes from the warehouse ). But I am sure if you order it you will have it within 7 days if you are in the US. My metallic skeletor arrived...uuum.... Pixelated? Lol that green stripe is weird but the rest of the paint app is pretty cool. I actually don't have the regular chase to compare. Got my metallic skeletor yesterday. He looks great! xmaldigolax wrote: My metallic skeletor arrived...uuum.... Pixelated? Lol that green stripe is weird but the rest of the paint app is pretty cool. I actually don't have the regular chase to compare. 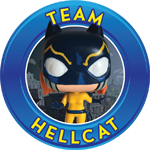 Yeah so it seems that this variant has that stripe... this one and the chase. FunkoNerd wrote: Got my metallic skeletor yesterday. He looks great! So did I, it looks a lot better in person than it did online. I don't know if it was the angle that they used to advertise it, but it didn't do the metallic finish justice. The metallic skeletor is awesome. Like others have said much better in person. I like it better then the chase figure. got mine in too, and it looks AWESOME! I just got mine in on Friday and it looks way better. Got my metallic Skeleton too! Love it. Wonder if they will bring anymore dorbz out. Not seeing any for sdcc has me worried. Maybe there will be one at nycc. I am so behind, I didn't realize there was a metallic Skeletor. 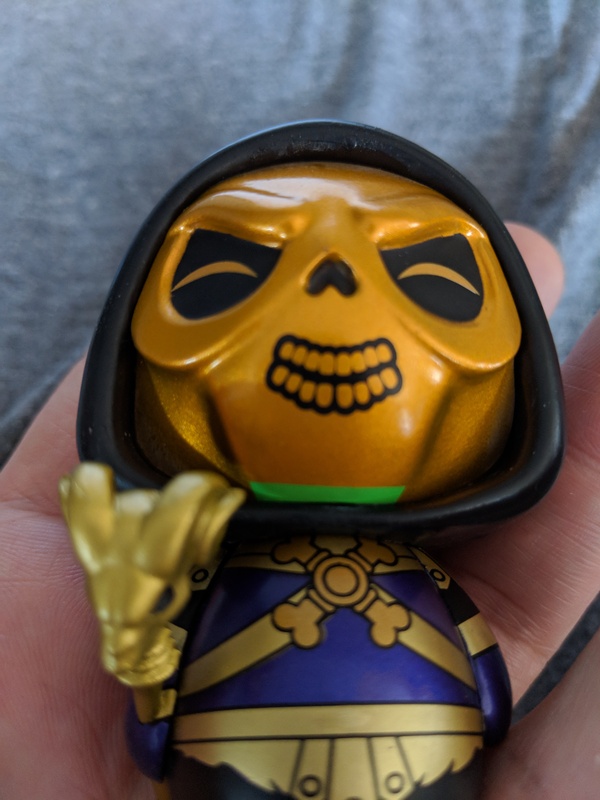 I ordered the Skeletor with Panthor Dorbz Ride from Big Apple and it just arrived! It sits nicely next to my He-man with Battlecat. The metallic Skeletor looks amazing in person. There needs to be a MOTU wave 2! Funko seems to be limiting the dorbz that it makes, but I'd love another MotU wave. Or even just one or two as a specialty series release. 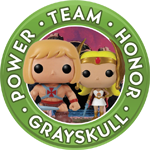 I think we need a Funko Shop two pack of Teela and Evil Lyn Dorbz... or make all my wishes come true, and make it a 3 pack that includes the Sorceress. The metallic skeletor dorbz is one of my favorites.